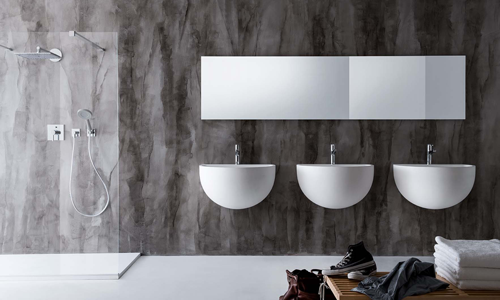 Large and perfectly designed, BOWL combines the pureness of design and functionality, thanks to its 12 cm deep counter along the entire length. The shape of BOWL basin allows to hide the siphon in the inside. The siphon, the taps, and the fittings can still be easily reached through the wide opening under the basin. 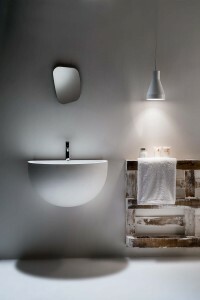 Originally made of matt Ceramilux, BOWL is also available in solid marble version in white travertine or graphite grey.